In even the most demanding grading applications VBL™ Grader Blades are up to the task. Vallite™ — Hot rolled alloy steel, heat treated and stress relieved for unmatched thru-hardness and impact strength. High Carbon — Hot rolled steel profile with high carbon content. 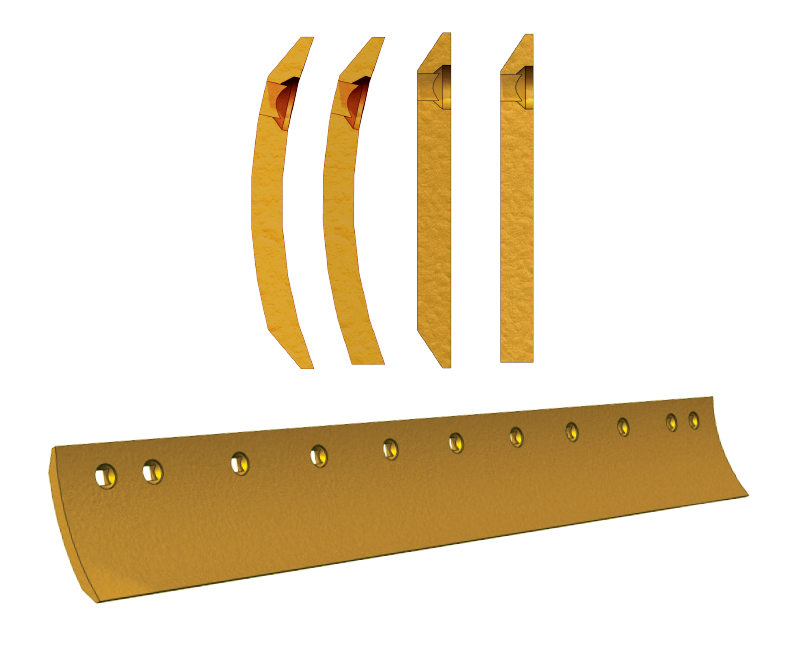 Standard grader blades are available in various sizes of flat and curved profiles in single or double bevel*, with hole sizes and patterns to suit all OEM equipment. From the free cutting “sharp” 1/2” X 6” curved to the massive 3” X 16” flat, VBL™ has the right grader blade for any application.